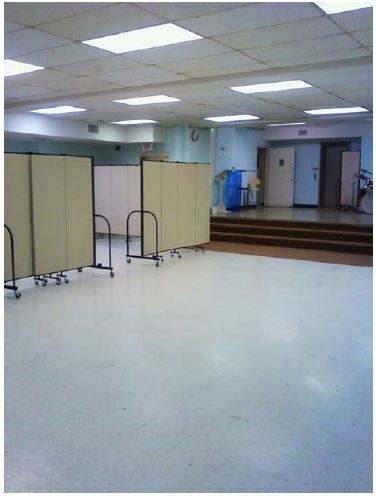 Uses: Church, Religious, Sunday School Colors: Browns/Tan/Beige Lengths: 13 panel 24'-1" Heights: 6'-0"
Using a series of Screenflex room dividers, Christ Evangelical Lutheran Church in Bethesda Maryland created several portable Sunday School classrooms and an office, right in their church basement. These classrooms have been invaluable for growing their program and because they’ve created the rooms with rolling temporary walls, it allows them the flexibility to break down the classrooms when they need the space for other functions. 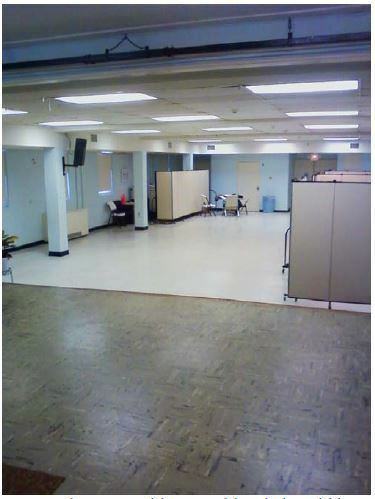 When not being used, the units are closed and nested together in a storeroom or against a wall. Each unit only needs a 2′ X 3′ storage area. 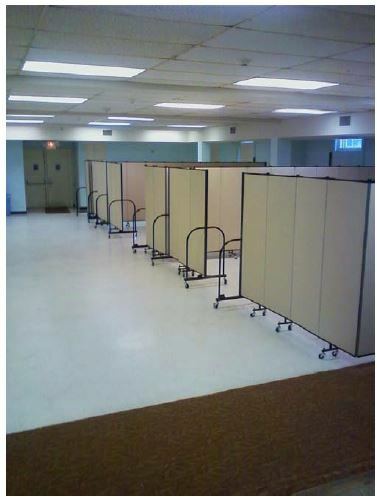 Closed and nested portable Sunday School dividers are stored away so the room can be used to make lunches for area homeless.